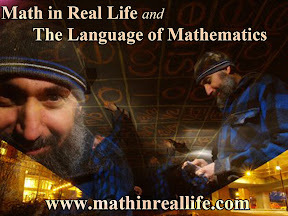 Additional videos and information at: ASMR, ASMR Math, Language of Mathematics and Math in Real Life. 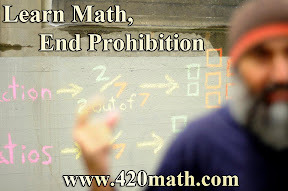 - Why is Math Important? - So let me get this straight, we fast track renditions but hunt down whistleblowers on presidential planes! - Would Bankruptcy Protect You from Being Prosecuted for Murder? Then Why Are GM and Its Officers Getting Immunity for Deaths That They Could Have Prevented for $1 per Car? - Actual Jubilation in Crimea vs. Orchestrated Celebration in Iraq: Can You Spot the Difference? - The Hypocrisy Is Unbearable: Iraq vs. Crimea, Can You Spot the Difference? - What’s Really Going On: Bahrain vs. Ukraine, Can You Spot the Difference? - What Cold War? This Cold War: Death Follows McCain to the Ukraine as the Armenia-ultimatum to Screw over Russia Fails Again for the EU and the U.S.
- Noam Chomsky, a Conspiracy Theorist of the Highest Magnitude: Defining Conspiracy Theory, What are the Theories Behind the Conspiracies? - Aaron Swartz, America’s Mohamed Bouazizi: We’re in the midst of a revolution, which side are you on? - The Mantra on Wall Street Is ‘Don’t Fight the Fed’, but Do You Know What the Fed Is Doing? And Where Did Belgium Get $141 Billion to Purchase U.S. Treasury Bonds? - Let's Make Some Power Food: Dates, Eggs, Tomatoes, Tahini, Feta, How to Recipe (Twitch Live Stream). - Net Neutrality: My Perspective of Both Sides of the Debate, Pros and Cons. - Reading: Whispering Max Ehrmann's "Desiderata"
- Intro to Q&A: In Conversation with Chycho: What Would You like to Know?